You can use these reports in any way you like: combine them into your own ebooks, use them as website content, break them up into separate articles for newsletters, or just use them as is as bait to get prospects opt-in info! 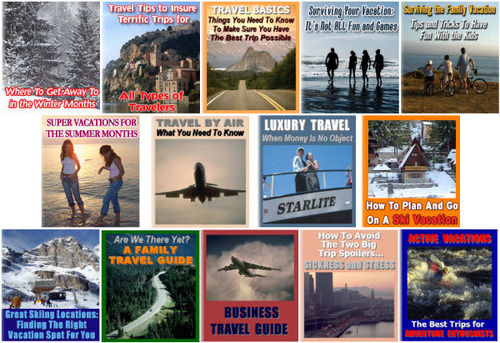 Family Travel PLR Reports Package comes complete with source in word doc format as well as pdf version. cover graphics.